There are so many hanging lamps pattern available at market place to choose from. 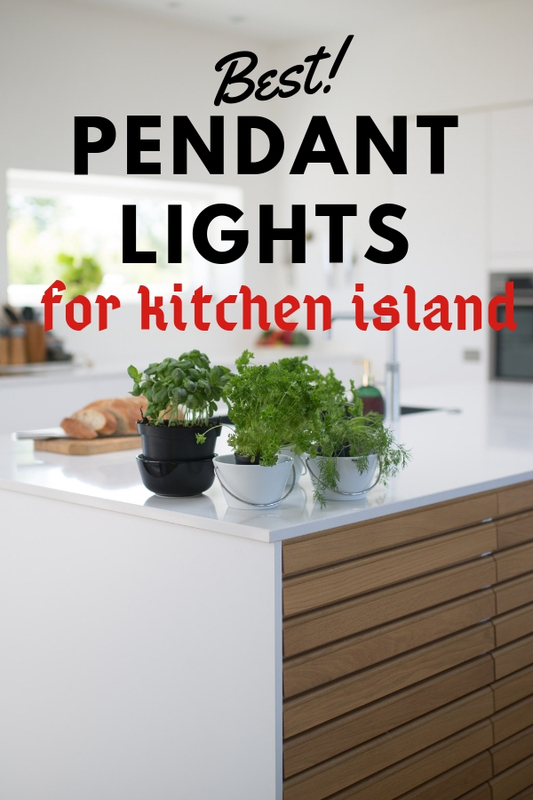 We had spoiled for choice and didn’t know how to pick the best pendant lights for kitchen island when we stepped in the fixtures shop. We were targeting to have a lamp hung from the center of the ceiling would provide ample lighting for area where food is prepared. We had spent pretty of time for sourcing a freestanding piece of cabinetry to be placed in cooking area to supplement the countertop space. We took countertop surface, color and storage compartment into consideration. Thus, we hope to grab a lamp that match the style of kitchen island perfectly as well as fits the overall design of our cooking area. The following shortlisted hanging lamps are suitable for modern decoration. They come with simple design to create an elegant space as well as adding touch of relaxing ambiance. We have white color counter top and so we are thinking black kitchen pendant lights would make the area looks stunning. After all, these two colors combination is the most timeless and always on trend. This simple linear chandelier that features three bowls shaped shades is just nice to illuminate the entire piece of countertop. Its vintage-style design is adding classic touch in modern kitchen. Silver is a color that matches very well with other neutral colors including white. And so we are taking this contemporary silver pendant light fixtures into consideration because we love its design. It definitely is ideal pick for cooking area that requires ambient lighting with its open-air design. Furthermore, its unique globe design boosts the trendy style that makes it as stunning piece in cooking area. We also take blue color into consideration as this color is giving a sense of calm and it is reminiscent of the sky when matches with white color. We shortlisted this blue glass pendant light as it creates a contemporary atmosphere with its exquisite hand-blown shape and translucent hues. Better still, it comes with three units in a package. The multiple bulbs with even blow definitely would spread across the cooking area. As inspiration by the blue glass drop hanging fixtures above, we thought lamp shade that features clear glass shade is suitable to be installed above countertop of our kitchen island. This retro style pendant light with clear glass shade is suspended by black round cord wire. Its simple design is adding touch of tidy sense in cooking area. In case you found that a clear glass lamp shade is a bit dull, then you’ll like this fashionable glass cylinder pendant light with crystal beads hanging inside. It definitely is the focal point in your cooking area to catch the eye especially the moment it disperse light to illuminate the room. All of them feature both stylish and functional that perfect for hanging above kitchen island to bring elegant touch and boost your decor style.